GLOV is a patented cosmetic textile accessory, which removes even strong make-up and mascara just with water. The tissue has been design in nano and micro technology, which means GLOV fibers are 100 times thinner than a human hair and 30 times thinner than a cotton pad fiber. GLOV accessories are extremely soft and delicate for a human complexion and do not cause any irritations. Products have been tested in a dermatological laboratory, which proved its safety towards allergic, sensitive and atopic skin. 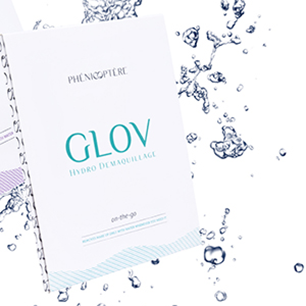 GLOV has certain characteristics, which guarantee successful deeply cleansed skin. GLOV fibers in opposite to cotton pad fibers have a star shape and electrostatic abilities. To perfectly remove eye make-up we just have to stick wet GLOV on an eye, keep it for few second in one place and with delicate moves up-down/left-right wipe the remaining impurities. Electrostatic abilities will grab make-up like a magnet. Our skin is perfectly clean, as micro and nano fibers go into a microstructure of a human complexion. That way our skin is prepared to absorb way much more efficiently other skin care cosmetics. At the end of each usage all you need to remember is to wash it in hands with a simple bar soap, dry it and next day use it again! We at Pick N Dazzle stand for beauty, technology, innovation and fashion. We also admire entrepreneurship, especially when driven by women! In line with our values we are happy to present a brand, developed by two young women entrepreneurs. We fell in love with this brand the moment we learned the story! Precise preparations for the big party last even few hours: perfect evening make-up, hairstyle and choosing an outfit. The night belongs to you and you party till the sunrise. But after coming back home we face unpleasant duty of removing make-up before going to bed. Unless you know GLOV! Using bottles of removing make-up liquids and cotton pads is a Middle age! Now you have easier and more comfortable way… GLOV Hydro Demaquillage! This magic mitt will remove all your evening make-up and mascara only with cold or warm water. Indeed, only water! It is possible thanks to GLOV fibers created in nano and micro technology, which are 100 times thinner than a human hair. They also have a star shape and electrostatic abilities, which let them clean skin surface with micro precision. GLOV is designed and tested for allergic, sensitive and atopic skin, it boosts microcirculation and soften your skin. You can use GLOV up to 3 months. Water is a source of beauty! The newest science discoveries bring up the news, as using too many cleansing products based on chemical ingredients destroy hydro-lipidic skin barrier. After summer time our skin is often dry and requires special care to not irritate the protective skin barrier. We shouldn’t use substances, which change the natural pH of our skin. The best substance for skin care known to human since ancient times is pure water. But how I can remove make-up using just pure water? GLOV makes it possible and takes what is the best from nature, using its unique characteristics designed in micro and nano technology. It’s a special tissue, which let you remove even evening make-up and mascara only with water. It is possible thanks to GLOV fibers created in nano and micro technology, which are 100 times thinner than a human hair. They also have a star shape and electrostatic abilities, which let them clean skin surface with micro precision. 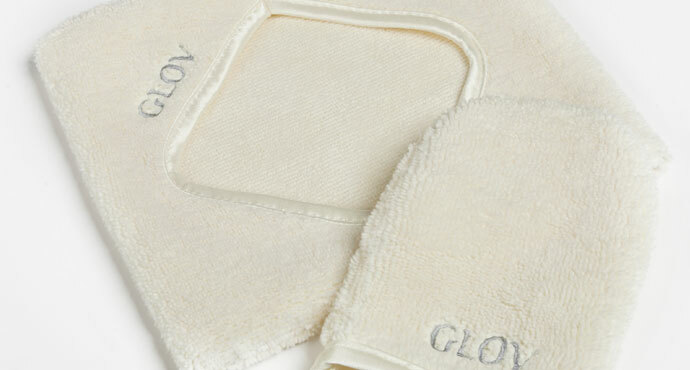 GLOV is designed and tested for allergic, sensitive and atopic skin, it boosts microcirculation and soften your skin. You can use GLOV up to 3 months.